As a fishing guide in Dorset, I like to think that I know when the best times to fish are. Despite my over whelming urge to want to fish with lures all the time, I know that it is better to get out the smelly old bait when the conditions are right. Those times are normally when the sea is at its roughest, as it was this weekend. South Westerly 22 – 25mh winds with gusts up to 50mph. Then a slight change in the wind direction and strength, see’s it blowing WNW 18-22mph, with far less gusts, ment that it was time to fish the mighty Chesil. I met up with my mate and fellow fishing guide Paul. He had got to the beach a little bit before me and gave me a call to say that it was uncomfortable but fishable. When I arrived I was surprised at how quickly the sea had died down. When I had looked a few hours earlier, the waves were exceeding 3m, now they were down to half that. The wind was pretty strong but I managed to get my Igloo set up and all my gear sorted out. As an experiment I decided to start by using my 15ft Continental style rod that I have been testing for the past month. I opted for a Peeler Crab on a 3/0 pulley rig cast out to about 60m. I made a bit of a mess of the first cast, as the rod seemed to struggle casting 5oz with the bait straight in the wind, so it ended up only getting out about 40m. Not ideal as it was not in close enough to take advantage of the heavy surf, yet it had fallen a good bit short of the edge of a patch of rough ground that I was aiming for. Still it didn’t seem to matter too much as after about 5 minutes I noticed a bite. It looked like a typical doggy bite and thats exactly what it was. At least I was into fish and I knew that if the Dogfish were feeding during the day then everything else would be too. Paul opened up his fish count with a surprise Wrasse, followed by a small Bass that could barely swallow the bait. I was struggling with bite detection on my softer rod, so I decided it was time to get my Century Tip Tornado Super Match out. Loaded it up with a 6oz weight and blasted it out. I was hoping to pick up a Smoothound at range on it and use the other rod close in for a Bass. I didn’t have to wait long, as I watched the tip pull smoothly down in a classic Smoothound bite. It felt like a nice fish as it powered off down tide, really giving the rod and the clutch on the reel a good work out. After a very spirited fight I managed to get the fish through the surf and land it. After a quick couple of pictures and a quick weighing, I released the fish to fight another day. 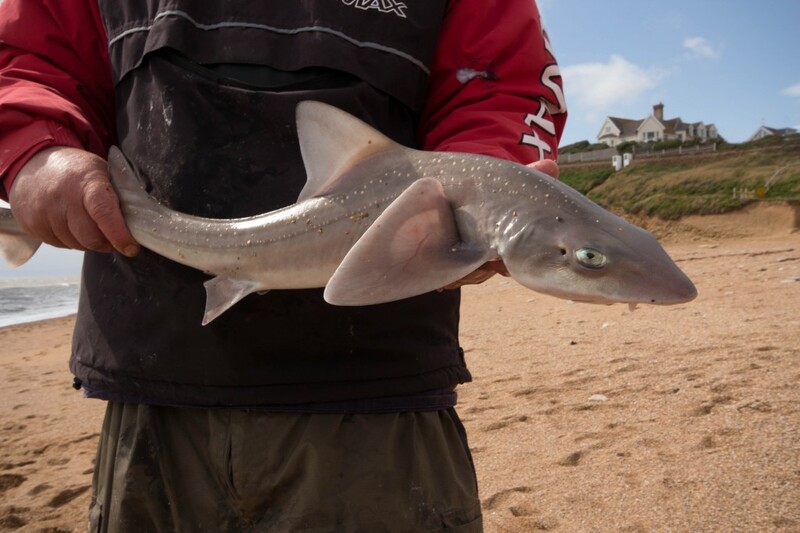 It went 8lb, which is a good sized Chesil Smoothound. Just as I had returned my fish to the water I spotted Paul snatching his rod and striking into a good looking fish. 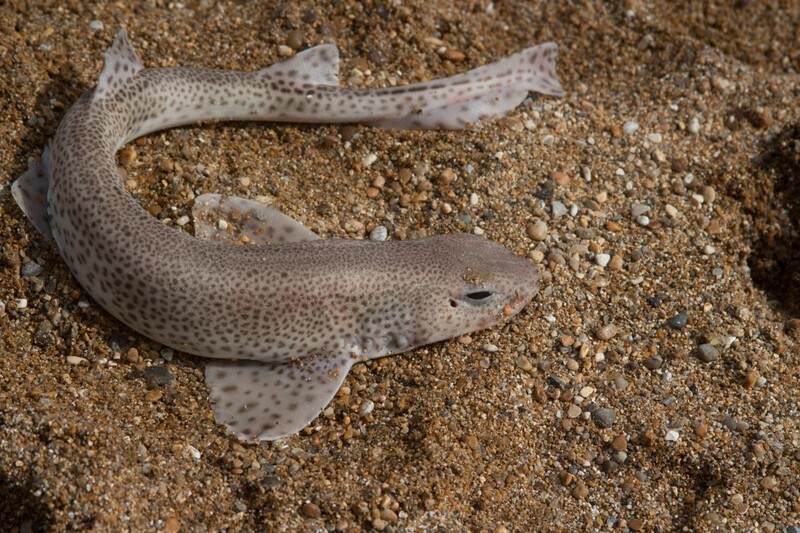 It seemed that the hounds had come in a pack, as he landed a Smoothound of almost identical size to mine. Though his fish had a lovely coppery sheen to it. What followed was an amazing couple of hours, with plenty more Smoothounds and small Bass being caught constantly. I even managed a Pout, that took a fancy to my rather expensive crab. Just as high water was approaching Paul said it was about time that a decent Bass showed up. No sooner had he said that than his rod bounced in the rod rest. He shot up from his tackle box and grabbed the rod, fearing a large Smoothound was about to drag it of into the surf. “I think this is a Bass” Paul shouted over the wind. 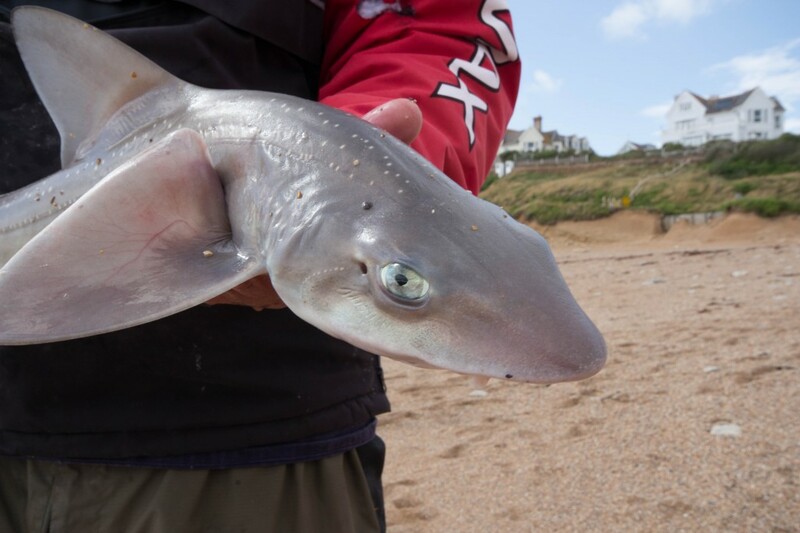 I thought that the way it was running down tide it looked more like a Smoothound, but with thumping head shakes I wasn’t certain. What I was sure about was that it was a powerful fish. It pulled Paul about 50m along the beach and under my two lines. Amazingly it didn’t get tangled in them. All he had to do now was get it through the surf. This was an exciting time as he had to back wind a number of times to prevent the surf pulling the fish off the hook. Paul put his years of experience to good use as he skilfully brought the fish through the surf and into the shallow water. I was shocked to see a huge Bass laying there. I quickly grabbed it by the tale and moved it to safety further up the beach. We both agreed it was well over 10lb and the scales proved that, when it topped at 12lb 1oz, with the lowest recording being 11lb 14oz. I would have claimed it as a 12lb fish, but Paul was happy to take the lower figure. One thing was for sure it was a fish of a lifetime from the shore. With only a half hour left before I had promised my wife I would be home I kept on fishing in the hope of a repeat of Paul’s fish. I had another good bite, which turned out to be another nice Smoothound to end the day. 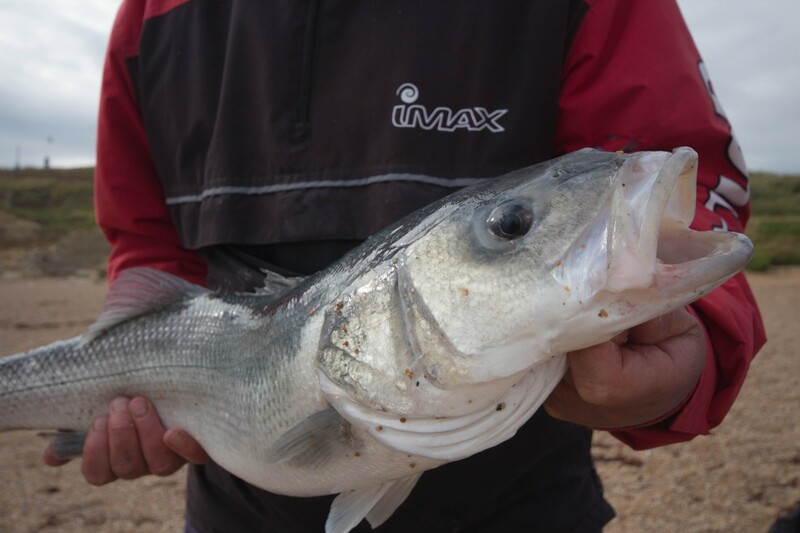 It was tough fishing in windy and rough conditions, but we were well rewarded for our efforts. 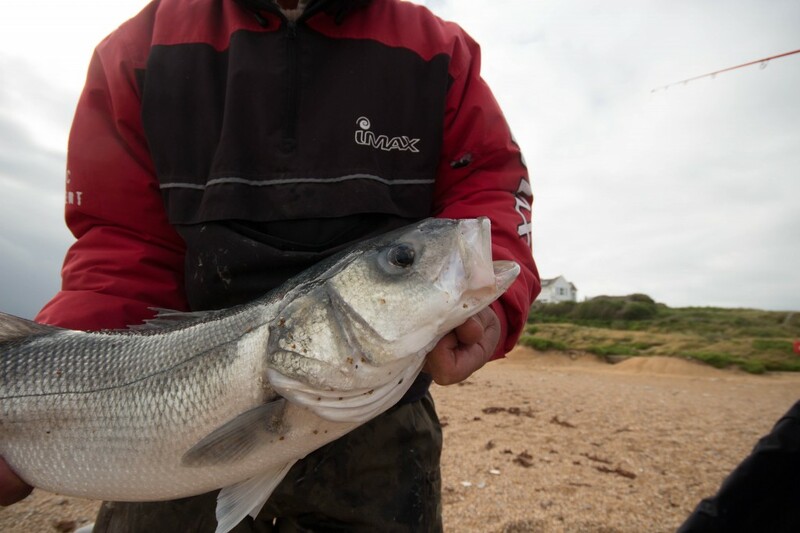 11 Responses to "Bass fishing on Chesil Beach, when its at its best"
Sounds like a great days fishing & the effort well rewarded. 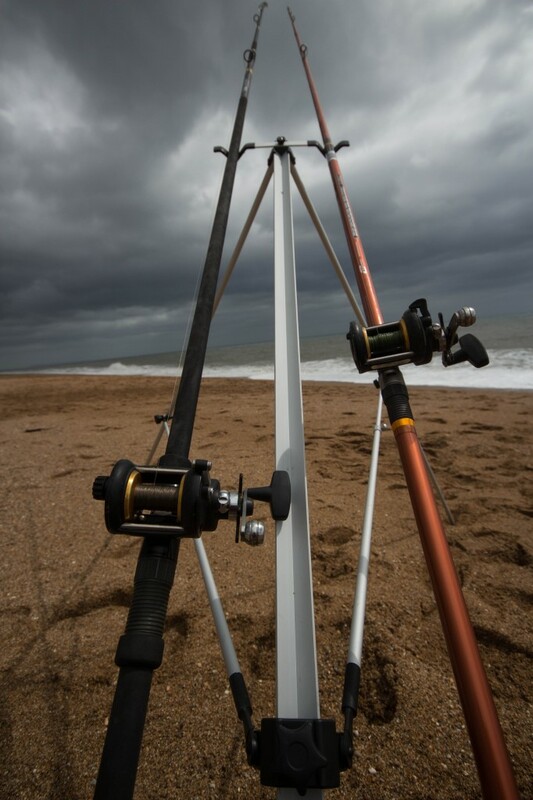 I’m looking to fish dancing ledge thurs or fri, can you recommend a specific lure? Hi Jon How did it go on the Thursday. Can you tell me where dancing ledge as i have not lived here very long and i have just started lure fishing and want to catch some bass like you. I live in wyke regis. Having lived down here now for 7 years and coming up for retirement I fancy taking up sea angling. Nothing fancy, just mackerel but I would really appreciate some advice on what kit to buy. I have been to Reels and deals and they showed me a Shakespeare 12foot rod and real which costs £40. Is that what I would need or would you recommend something different. I would appreciate any help/tips you can provide. If all you want to catch is a few Mackerel then that combo will be fine. If you want to progress and catch other species at other times of the year then you need to be spending a bit more money for something that will grow with you. If you want some more information then let me know. I will be doing a What should I buy guide for beginners in the next few weeks. Hi Sean I have not been able to fish since you gave me le lesson on lure fishing, As you know i live next to Portland harbour near the Castle cove sailing club. Can you or anybody let me know where to fish for bass i have tried by the club but had no takes and lost a few lures due to rocks. needing to move on from feather bashing , what would be the best float set up for bass around the West bay area.